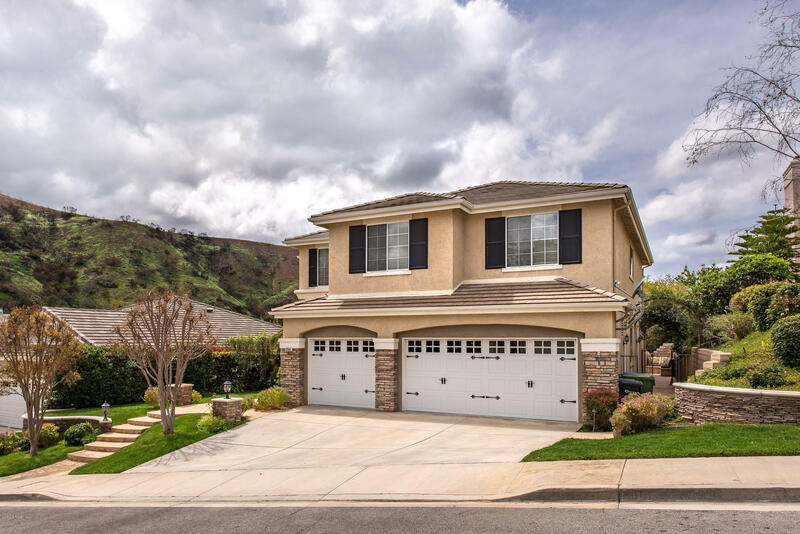 Charming, comfortable and stylish home nestled in the craggy peaks of Lang Ranch. Located on a quiet cul de sac with fantastic curb appeal, enter the beautiful foyer and living room with 9 foot ceilings and walls of windows. Beautiful stone floors set in Versaille pattern cover entire ground floor. Downstairs office is adjacent to full bathroom and separate laundry room. Charming family room with brick fireplace and custom built in cabinetry opens to white kitchen cabinets, granite countertops and commercial grade, stainless appliances including Viking double oven.